If you have any concerns about your child’s speech, language, social language, problem solving, stuttering or literacy, it is important for an assessment or evaluation to be conducted. Before the assessment, your speech pathologist will conduct a thorough case history with you to get a good idea of your child’s development up to this point and any factors pertinent to the assessment. It is also helpful if you can bring along the results of hearing tests and other reports that will give useful information on your child’s development. What happens during a speech pathology assessment? 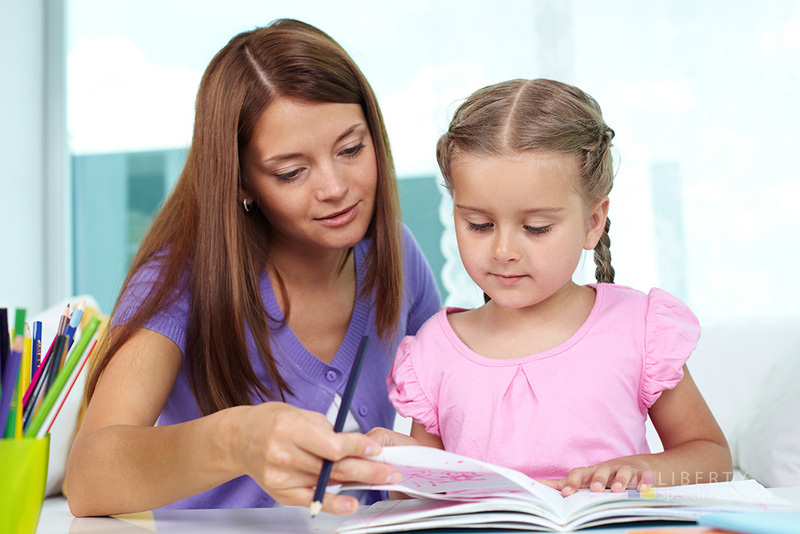 A speech pathology assessment involves using a variety of tests with your child. This is done in a fun way with motivators to help your child stay on track. An assessment gives information on how your child is performing in a variety of areas and identifies any particular difficulties that he or she may have. The time taken for an evaluation can vary depending on the individual child and the tests used. An assessment may take anywhere from 45 minutes to 3 hours. Your child may be assessed at either the Liberty Speech Pathology clinic, or at his or her school, kindergarten or child care centre. A detailed report will be written by your speech pathologist, which you can distribute to your child’s teacher and other professionals involved with your child. The report will explain how your child went with each part of the test, how the outcome may affect your child’s communication and classroom learning and recommendations for the home or classroom. Please note: Most Extras Health Insurance covers Speech Pathology. Check with your individual health cover to find out the percentage of fee that is covered. ASD needs to be diagnosed by two professionals. Liberty Speech Pathology is able to provide the first or second of these assessments. The other assessment needs to be provided by a paediatrician or psychologist who is specifically trained in Autism diagnosis. An ASD assessment with Liberty Speech Pathology occurs in a 2.5-3 hour session. This includes a play-based assessment with your child (or equivalent for older children), followed by an in-depth interview with parents/caregivers. After this, you and your child have a break while the information is considered against the ASD criteria and scored. Then, a discussion about the outcome of the assessment occurs. A detailed written report is also provided. Please note: General speech and language assessments can usually be booked with a minimal wait time. There is a wait of several months for ASD assessments.